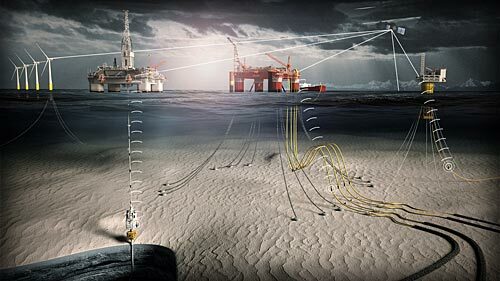 The contract with Statoil covers the entire range of 4Subsea’s services; from oil and gas to renewable energy projects, from operational services to research and development, and from digital services and monitoring to traditional engineering. “We are proud that Statoil trusts us to play an important role in their subsea operations”, says Peter Jenkins, CEO of 4Subsea. “Our goal is to provide great value to Statoil both now and in the future, with a digital platform that contributes to increased efficiency of oil and gas operations as well as development of new solutions within offshore wind. To succeed with this goal, we continuously work in the borderland between day to day operational challenges and research. That’s also where 4Subsea has its real strength”. The agreement means that 4Subsea will deliver services related to subsea installations from subsea wellheads, drilling and workover riser systems, flexible risers, mooring systems, wellheads, marine systems, and offshore wind farm installations. In addition, 4Subsea works with Statoil on various R&D projects related to both improved operations of oil and gas fields and on new concepts for floating offshore wind turbines.